In response to a public records request, we obtained the entire LPR dataset of the Oakland Police Department (OPD), including more than 4.6 million reads of over 1.1 million unique plates between December 23, 2010 and May 31, 2014. The dataset is likely one of the largest ever publicly released in the United States—perhaps in the world. After analyzing this data with a custom-built visualization tool, Ars can definitively demonstrate the data’s revelatory potential. Anyone in possession of enough data can often—but not always—make educated guesses about a target’s home or workplace, particularly when someone’s movements are consistent (as with a regular commute). The article is long, detailed, and chilling to anyone concerned about privacy. Data is power, and being able to track a population’s movements gives the government, corporations, and individual citizens too much of it. Where you live, shop, worship, congregate, and sin are exposed on the very thin pretext of public safety. Some police think Waze is dangerous and want Google to pull the plug on one of its key features. The social/traffic app is designed to provide drivers with information on highway congestion, accidents, and construction, but also allows them to tag the location of police speed traps with an icon indicating whether or not the police are hidden or visible from the highway. I am concerned about the safety of law enforcement officers and the community, and the potential for your Waze product to be misused by those with criminal intent. I look forward to opening a dialogue with you as to how Google can prevent the future misuse of the Waze app to track law enforcement officers, thereby avoiding any future deaths or injury. I am confident your company did not intend the Waze app to be a means to allow those who wish to commit crimes to use the unwitting Waze community as their lookouts for the location of police officers. 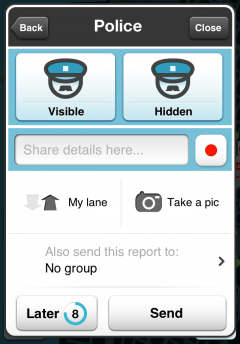 There is nothing to link Waze to any deaths or injury, but police are concerned because last month Islamic radical Ismaaiyl Brinsley posted a picture from Waze which showed the police icons. Brinsley disposed of his phone long before he ambushed and murdered two police officers in New York, but the connection is too close for some. The police function in various ways: to discourage crime by their visible presence and intervention, to investigate crime after it has been committed, and as an armed revenue collection wing of the government. It’s this last function that rankles the public, because they realize the minor citations and tickets have minimal relevance to public safety and are just there to fill government coffers. When New York police stopped writing these nuisance tickets for a few weeks in protest over the murder of two of their brother officers, the city lost $5 million by some estimates. The idea that Wave is some kind of Grindr for cop-killers kind of misses the main point: it shouldn’t be hard to find a police officer. They should be visible. Many people feel relieved when they see an officer. Well, at least many white people do: the experience of policing among minority communities is considerably more troubling, particularly for black men. Indeed, looked at from the perspective of a young, innocent black man, Waze may be key tool for avoiding harassment and potential police brutality. In ordinary practice, the police have few legitimate reasons to conceal their presence. And they have no right at all to tell people they cannot share information with others about that presence any more than they could tell someone not to flash their lights to indicate a speed trap or use a CB radio for the same purpose. Aside from the admittedly horrifying and tragic, but also isolated, case of the New York police murders, is their any indication that “police stalking” is a widespread practice? And if so, is it such a dangerous and immanent threat that it warrants a constitutional challenge about free communication among citizens? Have I Mentioned Lately How Much I Hate Robots? First, it’s not handwritten. It’s machinewritten, which means even though someone built an elaborate bit of gizmoditry to go through all the trouble of dipping a pen in ink and “writing,” it’s no more personal than running off copies on a printer. It just creates an illusion of being personal, which is actually so much worse. The dude in the video brags about how fast brides can knock off wedding invitations that appear handwritten by using his service. The point of thank you notes is that they were held by a person who wrote them by hand to express delight at a gift, not that they texted a generic thank you to some machine which wrote, stamped, addressed, and mailed them because the lazy bint couldn’t be bothered. If you’re not the president or the pope or Taylor Swift, you don’t have to write so much you can’t do it yourself. Oh, wait, Taylor Swift does do it herself. 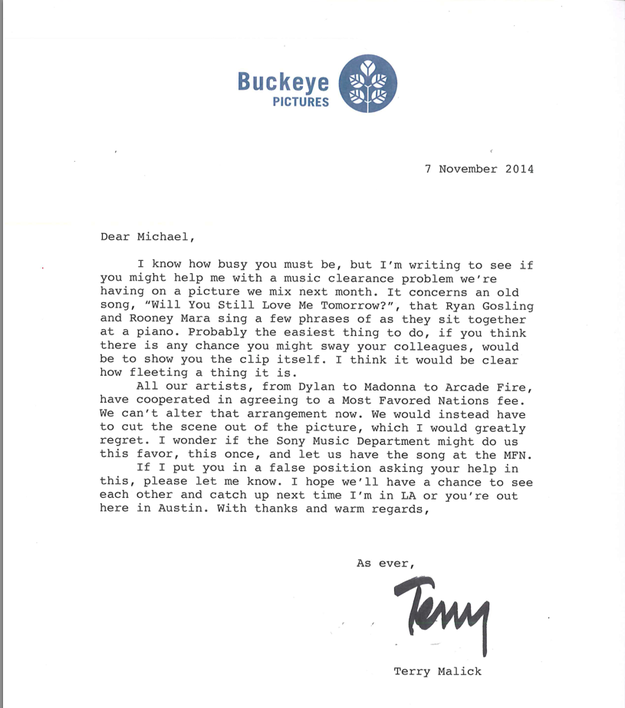 Do you have more people who write to you than Taylor Swift does? No you do not, so stop acting like you’re better than her already. Second, the video shows a pen being dipped in ink, which is clearly not what the machine does. It’s using a Montblanc (at least for the video), which has a reservoir. But OMG it dips its pen just like old-timey writers had to! Let me tell you something: if old timey writers had plunger-driven ink converters like this replacement I just bought for my Waterman, they would have used them. 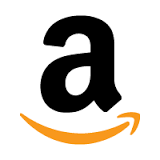 Hell, they probably would have bought a box of Bics or a damn laptop if they could. 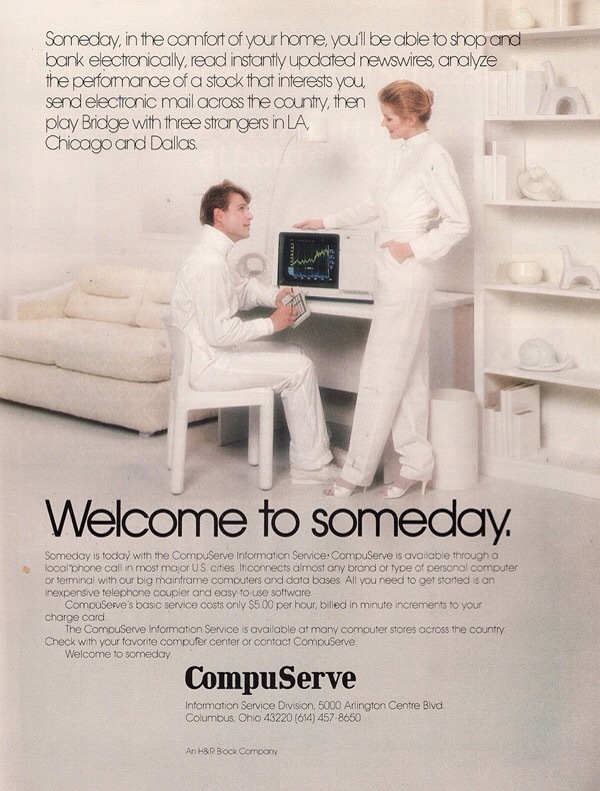 Some nostalgia is sweet and useful. Some is just dumb. And jamming together nostalgia and useless technology is pointless. Third, why is it using a $500+ Montblanc? Please. Fourth, for a couple hundred dollars it can write letters and notes in your very own handwriting. You know what else can write letters in your very own handwriting. Your hand! I don’t like this kind of “gee-whiz let’s get a robot to do it because it’s cool” thinking. You want to send a robot to Mars or the bottom of the ocean or out to defuse a bomb? Fine, but there is no reason on earth to build robots to do things humans do perfectly well but are too damn lazy to do. This is a lot of technology and slick marketing being deployed in the creation of illusion, and no doubt it will sell to executives and moneyed twits like the woman in the video who talks about how good sending “something tactile” is for her business. Of course, a laser-printed letter is also “tactile” unless it’s made of some magical anti-haptic material like unicorn farts. What she means is that they have a machine create a forgery of something touched by human hands. You can run off a letter on a home printer, have it done by a professional printer, or write it yourself, but this is just a lot of showy silliness. 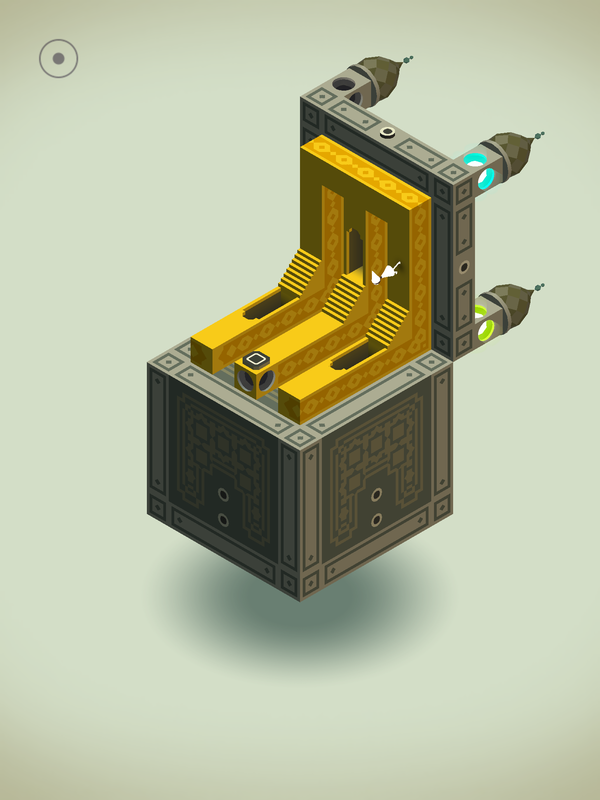 Monument Valley (Ustwo; iOS/Android: $4) is a small game. It won’t take you long to finish, and it’s not very challenging, but what it offers is such a pure delight that it became my personal favorite game of 2014. Indeed, I would argue that it was the best game published all year, and for an iPad-only puzzle game, that’s quite an achievement. 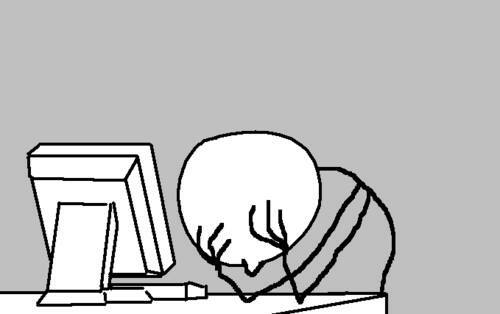 People are throwing most of their 2014 GOTY awards at Dragon Age: Inquisition. I have no problem with that: it’s an impressive piece of work. I may be just suffering Bioware fatigue, but I’ve had enough Biodialog-trees and Biorelationships and Biocombat and Bioquests to hold me for a while. Honestly, if I had to pick an RPG that I enjoyed more than any other this year, Inquisition would have taken a backseat to Legend of Grimrock II. Endless Legend also would have been ahead of Inquisition. Monument Valley offered something different and simple and appealing, and I like that more and more the older I get. It’s an example of a game that is more about the experience than the challenge. None of the puzzles in either the original game or the Forgotten Shores add-on will stop serious puzzlers for more than a few minutes. Altogether, the play time probably adds up to about two hours at the most. The appeal is in the quality, not the quantity: in the experience rather than in the difficulty. 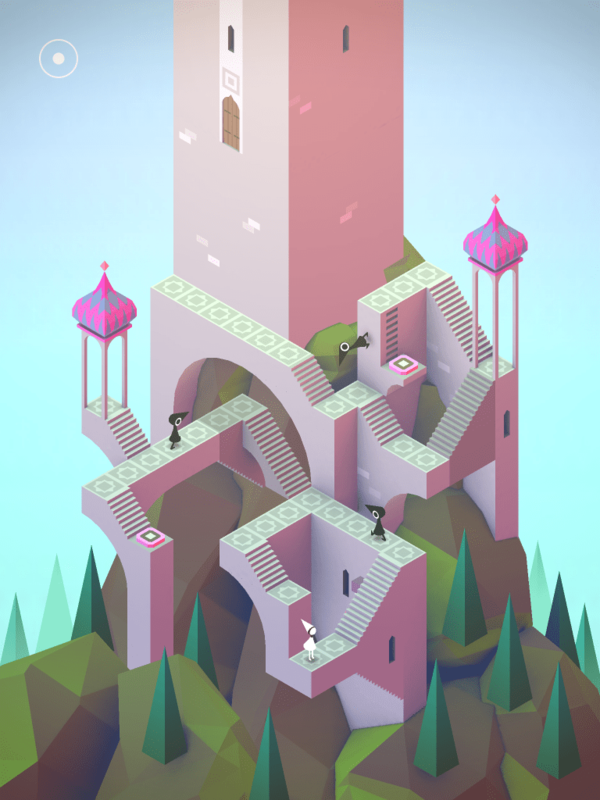 The visual style of Monument Valley is what grabs you first. Drawn with clean lines and sharp angles, it packs a lot of information into its shifting, single-screen puzzles. The most obvious comparison is with the artwork of surrealist MC Escher. 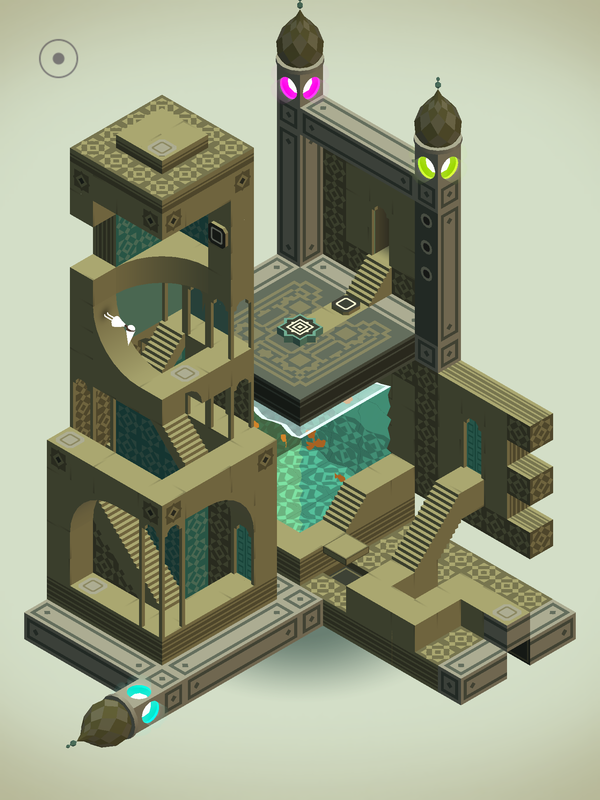 His impossible architecture is at the heart of Monument Valley’s world and its puzzles. You guide a little princess in a conical hat through ten worlds (with another seven in the add-on), attempting to get her from the beginning to the end. Each screen is given a chapter number and title, with a subtitle that hints at a “story” that never develops and only provides another layer of atmospheric mystification. It’s not a wholly unpopulated world. The Bothersome Crow People walk set patterns that either block your path forward or enable you to trigger buttons remotely. There’s a mystic/monk figure offering cryptic comments. And, best of all, you have an occasional companion/helper called Totem. He’s a big-eyed totem pole who provides help with a couple of levels, and when he appears to die, you actual feel a little sad. It’s a game that gets under your skin in weird ways. Each screen can be manipulated with levers and buttons to alter the configuration of its various structures in impossible ways. As with the work of Escher, a walkway will suddenly turn one direction only to open up access on a completely different plane. It’s the kind of thing that’s hard to describe in print, but the result is that you climb through impossible architecture at strange angles, triggering changes in the layout in order to get to the endpoint. The gentle music, soothing visuals, and dazzling use of space and motion create an otherworldly experience that moves beyond the limits of mere gameplay. Of particular note is Chapter VIII: The Box: the one of the best implementations of a mechanical puzzle box that I’ve ever played in an electronic game. I’ve certainly played much harder puzzle games, but few that I found quite so enchanting as Monument Valley. Even when the gets a bit dark (and there are storm-tossed seas and deep descents that hint at classic elements of the hero’s story), it stays enjoyable. The key to its appeal is that as a game, it’s content to find a balance among its various aesthetic elements (art, music, animation, structure) and its gameplay, which is mild and refreshing. Careful observation and tinkering will yield a solution pretty quickly, so frustration never overrides the gentle atmosphere. I’ve always argued against games as art, but Monument Valley come closer than most to making me question that opinion. I haven’t done a heart-warming 3D printing story in a while, so here’s a tear-jerker for you: Derby the dog, born with deformed front legs, gets a new pair of prosthetics thanks to 3D printing, and he’s off like a shot.